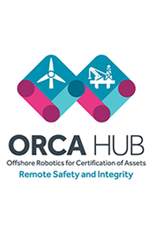 Professor Pecht has been named the inaugural Chair of the International Scientific Advisory Panel (ISAP) for the Offshore Robotics for Certification of Assets (ORCA) Hub. The Hub is a collaboration of experts from 5 United Kingdom universities and more than 30 industry partners with expertise in subsea, ground and aerial robotics, human-machine interaction, asset management and certification, and innovative and low-cost sensor networks. With the guidance of the ISAP, the Hub will provide remote solutions using robotics and AI to operate safely in autonomous and semi-autonomous modes in complex or harsh environments. These robotic solutions enable accurate mapping of, navigation around and interaction with offshore assets that support the deployment of sensors network for asset monitoring. Remote, human operators will be able to use, and co-operate with, human-machine systems in these complex, high-risk situations to provide self-certification of assets. Prof. Pecht will also provide an independent, critical review of the work and, along with ISAP, oversee quality assurances of the Hub and make research recommendations to guide the Hub’s activities.